Since 1998, D&S Technologies has maintained and installed business phone systems in southern Wisconsin. Although we will service most manufacturers systems, we specialize in PBX systems made by AT&T, Lucent and Avaya, which include Partner ACS, Merlin series and the IP Office. 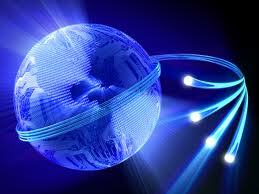 We also install voice and data cabling as well as work for many national contractors. Our ultimate goal is to strengthen relationships, build trust and ensure satisfaction. We service southern Wisconsin, but have a network of technicians around the country. We can provide a single point of contact for your national needs. We sell, install, and maintain business phone systems in Eastern Idaho and Western Wyoming.We specialize in key systems and PBX systems made by AT&T, Lucent and Avaya, which include the Partner and Merlin brands of phones.We also install voice and data cabling and do work for dozens of national contractors. D&S Technologies © 2019. All Rights Reserved.